Lori and I are taking 33 girls & adults to the Revolve Tour in Columbus tomorrow night. I cannot explain how excited I am! We took a group in Florida and it really bonded our girls together. I pray God opens eyes wide to the kind of life each girl is to live. So many of us dream too small. Don’t worry. Pictures & video to come. That’s my primary job this weekend. To record how God moves in them and to thank our church for all their help. Say a prayer for some girls in our community struggling with the death of a teammate & friend. 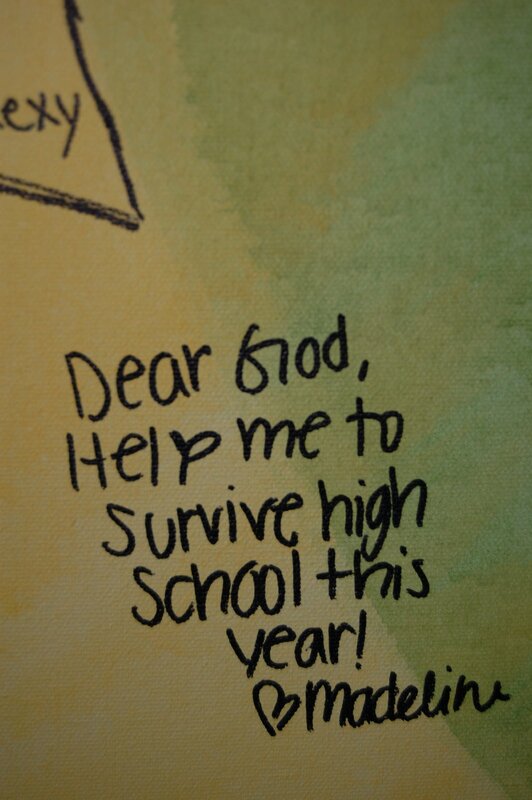 Our teens live in a world that is so overwhelming. The church must be a voice of hope and encouragement. 1Life launches this Wednesday! Can’t wait to see our church come together to deepen their relationship with God. The fall lineup of classes we’ve been putting together is finally done and ready to be distributed this weekend! My very favorite part of the next week is this Monday night. 12-14 people from all three campuses are coming together to dream about how we welcome people at Stillwater. I can’t wait!!! How many of you live far away from your parents & siblings? I’m having one of those weeks where I miss not being apart of their day to day lives. Wish I could hang out with them in the evening and see each other more often. Previous Do you let God ruin you?